Designed as a direct replacement to improve on the tone of an Epiphone T-Bird bass, the "Thunderbass" gives you so much more bang for the buck! 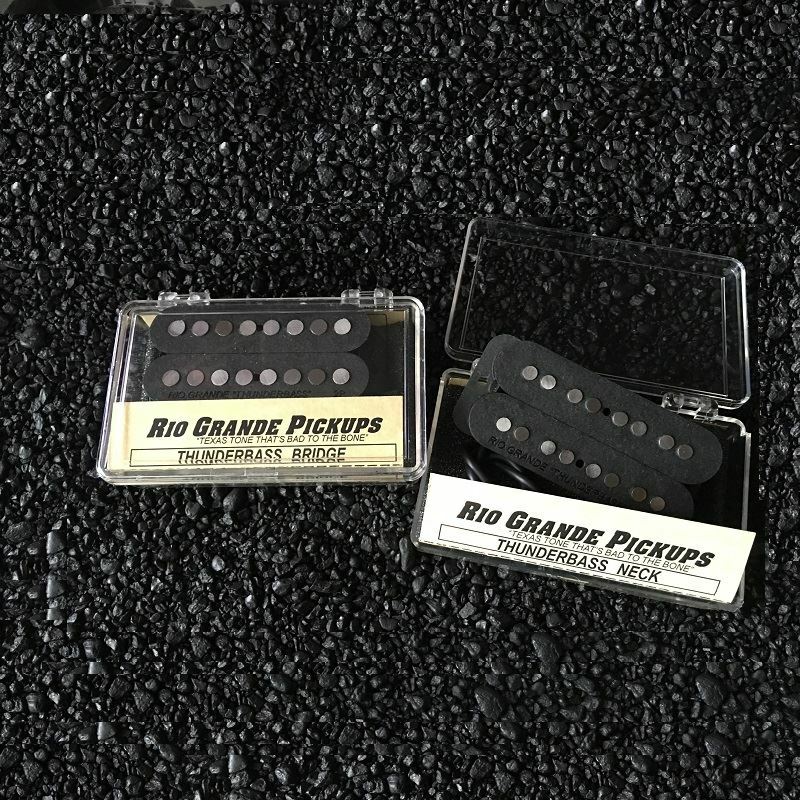 With "True Splitting" capability, you get the best of both the single coil and humbucking worlds. 4-Conductor Cable..... THUNDAH!!! NOW AVAILABLE with 2 or 3 point mounting options. Please specify whether you require 2 or 3 point pickup mounts in the special instructions section during check out. Designed as a direct replacement to improve on the tone of an Epiphone T-Bird bass, the "Thunderbass" gives you so much more bang for the buck! With "True Splitting" capability, you get the best of both the single coil and humbucking worlds. 4-Conductor Cable.....THUNDAH!!! NOW AVAILABLE with 2 or 3 point mounting options. Please specify whether you require 2 or 3 point pickup mounts in the special instructions section during check out. 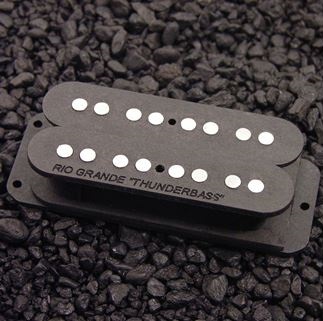 The Thunderbass bridge pickup utilizes two independent coils to produce a massive humbucking piledriver! In it's "True Splitting mode, you get the actual tight, snappy sound of a single J-Bass style tone generator. NOW AVAILABLE with 2 or 3 point mounting options. Please specify whether you require 2 or 3 point pickup mounts in the special instructions section during check out.